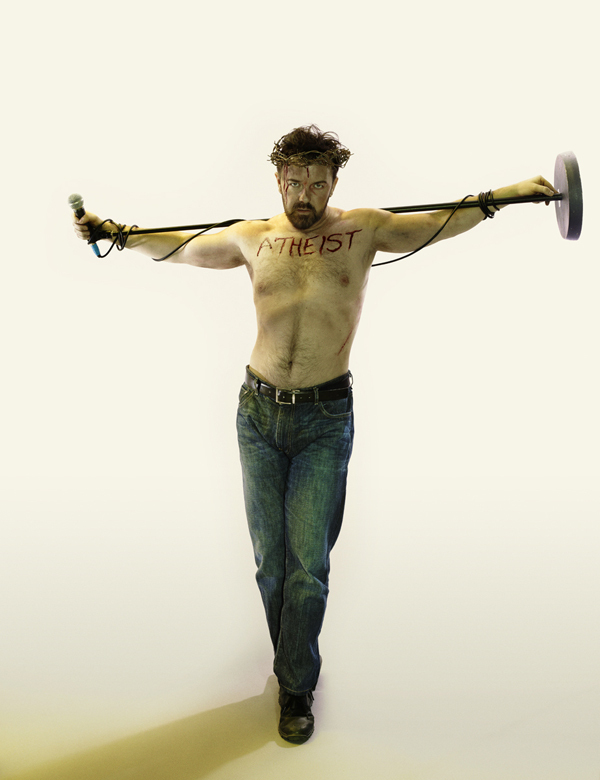 For fans of Ricky Gervais - one of the world's most famous Atheists - and his work. Ricky bringing down the house at the 2009 Golden Globes. The Invention of Lying, released October 2009. The podcasts have been turned into an animated TV show! Life's Too Short, starring Warwick Davis, written by Ricky and Steve. What's your favorite Gervais project? You need to be a member of Ricky Gervais to add comments! Watch for Ricky in the newest Rolling Stone magazine. I just learned that Gervais (as David Brent) and MacKenzie Crook (as Gareth) performed Freelove Freeway at the Concert For Diana a few years back. It was so fun to see these characters again! Are you guys watching The Ricky Gervais Show on HBO? Season 2 started about 10 days ago - they are animating some of my favorite parts of the podcast. Hilarious!! He wasn't any more rude than he normally was only reason he got attention this time around is one he criticized the man who runs the night. Two, he told the truth about The Tourist. Finally and most importantly he said thank god I am an atheist. :). I loved Ricky's opener for the golden globes. I'm not sure what people were expecting when they hired him, but I think he nailed it! Oh, and Ricky is hosting the Golden Globes again :) January 16, airing on NBC in the States. An Idiot Abroad starts airing in the US on Discovery Science on January 22 (10PM). The Ricky Gervais Show Season 2 starts in the US on HBO, January 14.